One year after Communist troops retreated to the hills to avoid the wrath of Chiang Kai-shek and the Chinese Nationalist Party, only 4,000 out of the 86,000 had lived to tell the tale. Even though only five percent of Mao Tse-tung’s forces made it to the end of the Long March to northwest China, Mao’s position as the leader of Communist China was a done deal. China was a fragmented nation in the early 1930s, fraught with instability and civil war. Warlords regularly attacked the government of Chiang Kai-shek. With help from the Soviet Union, Mao took advantage of this chaos and in November 1931 declared a new Chinese Soviet Republic. Chiang saw the Red Army quickly gaining strength, so he moved his forces into the countryside where Mao’s troops were concentrated, and began to encircle them. It seemed certain the Nationalists with their greater numbers would crush the Communists. So the leaders of the Red Army ordered a secret retreat – that would become known as the Long March – to begin on October 16, 1934. The leaders of the Army informed their troops, including Mao, that the idea was to become a mobile threat to Nationalist forces. The Red Army managed to evacuate a good number of their troops before the Nationalists even caught wind of what they were doing. The Long March covered approximately six thousand miles. It traversed 24 rivers and 18 mountain ranges. The marchers endured starvation, disease, aerial bombardment, and almost daily attacks from Nationalist forces. And with that, the Long March was finally over, the longest continuous march in the history of warfare. 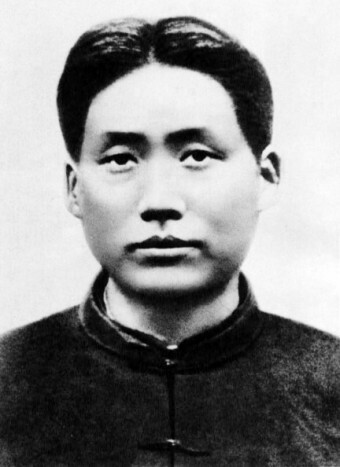 The Long March cemented the position of Mao Tse-tung as Communist China’s undisputed leader. The other veterans of the march became the elite higher-ups in the Party. When China’s youth learned of the communists’ heroism during the Long March, they rushed to Shensi to enlist in the Red Army in droves. Chairman Mao ruled the CCP with an iron fist (some estimate 70 million died as a result of his regime) until his death in 1976. He was one of the greatest mass-murderers in the history of mankind. I cannot look up the numbers right now, but I think that he may have killed even more people than Adolf Hitler and Joseph Stalin combined. By the way … Those were three atheists, as should be noted by the many misguided people of today that wrongly claim that more people have died due to religious wars than for any other reason. The numbers are not even close. The number who have died in religious wars are dwarfed by the number who have been killed by atheistic secularists in the history of mankind.